Our expertise in all matters relating to tree management in Adelaide is available to you at every interaction. Engaging us allows you to take full advantage of our extensive knowledge base, in all areas of your garden. Allow us to manage your trees as the assets they are, by promoting good health, structure and managing risk. Our pruning is respectful of environmental values and aims to preserve or enhance biodiversity wherever possible. Planting trees provides a wide range of benefits to landowners, the community and the environment. It can be rewarding to all those involved, with positive effects lasting many decades where landscape are successfully established. Tree planting involves a series of tasks. Each task must to be carried out correctly to ensure the planting has the best chance of reaching maturity. For a variety of reasons, an unacceptably high proportion of tree planting ventures fail to reach their full potential. Planting projects that fail to get the basics right are likely to be a waste of time and resources and frequently the source of disappointment for what could have been. There are eight stages to successful tree establishment. Select the right species for the location. Choose stock size that is suitable for the project. Ensure stock meets acceptable standards of quality. Prepare the tree and its root ball prior to planting. Prepare the planting hole according to site requirements and project scope. Plant the tree according to documented best practice standards. Irrigate, protect and mulch the tree in a manner suited to the circumstances. Implement regular aftercare to promote strong growth and sound structure. Arbortech Tree Services qualified and experience Arborists will be there to help you with every aspect of the tree establishment process. From tree planting, right through to the management of your mature specimen. Pests and diseases can adversely impact the tree establishment process, tree appearance, health and longevity. In some cases pests and diseases can increase the likelihood of branch or whole tree failure and may increase risk. Correctly diagnosing pests and diseases as they occur, and implementing a suitable management plan is crucial to maintaining long term tree health and viability. Our qualified and experienced Arborists can advise you on the best approach to deal with a wide range of pest and disease issues. i.e. Using the most suitable management strategy for the circumstances is imperative to achieve a successful outcome. The indiscriminate use of chemicals, insecticide tablets or other broad spectrum control measures may cause damage to your soils or the complex ecosystem that exists in your garden. Each and every control strategy should be tailored to your requirements and have the least impact on you, your family, pets and the environment while achieving the desired outcome. The alternatives are not good for your trees and garden, the people who use it or the environment generally. Improving the growing conditions within the root zone will ultimately result in improvements to the health of your trees as well as all other plants in the vicinity. People often need expert advice to guide them when making decisions about trees and their management for a wide range of reasons. Whatever your reason for requiring advice, it is important the arborist assisting you has a good understanding of their ethical responsibilities and is suitably qualified and experienced to ensure you get the professional unbiased help you need to make good decisions. Trees are long lived organisms and so the effects of these decisions can be long lasting. Sometimes you will need this advice in writing. Whether the advice is verbal or written it is important to get it right and from as wide a base of knowledge as possible to ensure your issues are considered holistically and with yours and your trees best interests at heart. At Arbortech Tree Services, we guarantee this unbiased, ethical, well considered approach to all our clients when we provide verbal or written advice, irrespective of other factors or financial gain. Our staff are well-trained, regularly upgrading their skills and knowledge. 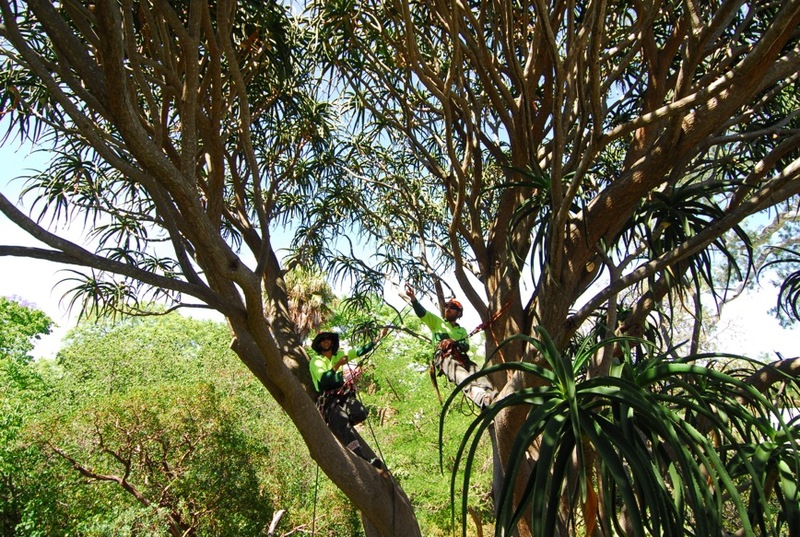 We can provide expert advice through all levels of qualifications from AQF level 3, 4, 5 & 6 in Arboriculture, ISA Certified, ISA TRAQ risk qualified, to Degree and PhD level where required in specialist areas such as development, risk management and WSUD through our sister company Tree Environs Pty Ltd.